Paris in black and white. Romantic, isn’t it? 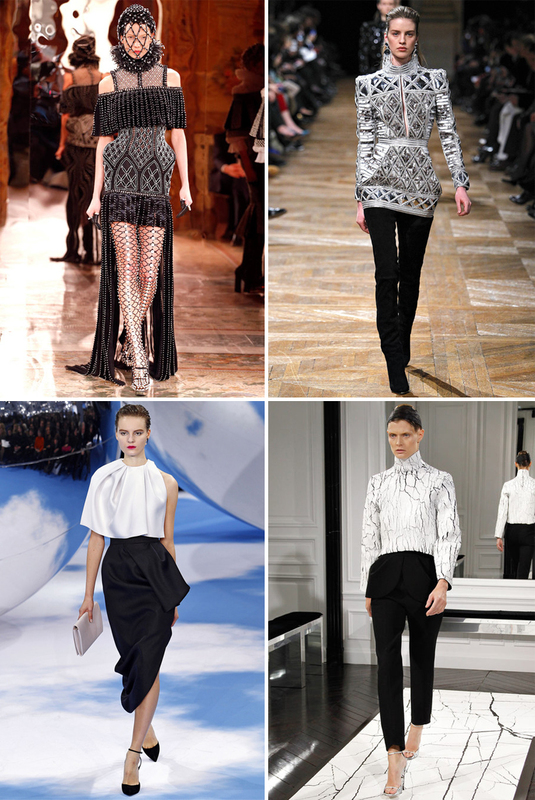 Clockwise from the top left: Alexander McQueen, where the looks were positively medieval. Balmain, where the silhouettes made each model look three feet taller than she actually is. Dior, whose runway was filled with the kind of sophisticated pieces Barbie would have worn in the 1950’s. And Balenciaga, where Alexander Wang (who was considered a controversial choice and is now being criticized for playing it too safe) made his debut. Proof that the city of lights does it right. That Dior outfit is beyond gorgeous!!!! Maxine — Isn’t it?!? The whole collection is so ladylike and beautiful. And I’m a sucker for classic prettiness.